Sleep apnea is a medical condition characterised by repeated pauses in breathing and/or shallow breathing during sleep. An apnoea is defined as complete cessation of breathing lasting 10 seconds or greater. Sleep apnea can be classified into three categories. They are: Obstructive Sleep Apnea (OSA), Central Sleep Apnea (CSA), and Complex sleep apnea syndrome (CSAS). OSA is due to the collapse of the soft tissue which results in the obstruction of the airway passage. This the most common of the three sleep apneas. Like Central Sleep Apnea (CSA), OSA can have many underlying causes. Some patients can even have more than one condition that causes OSA. In CSA, the condition occurs due to dysfunction of signalling and feedback mechanism to the brainstem that controls respiration. If you suspect that you have sleep apnoea, it is advisable to consult an ENT Specialist Doctor. There are short and long term complications of sleep apnoea. Sleep apnoea can result in insufficient/ low quality sleep which can affect your quality of life. The lack of sleep can also cause fatigue and sleepiness during the day. As such, learning, memory and cognitive functions are implicated. This translates to poorer performance in school and at work. Because some patients are unaware or do not treat their condition, they may eventually develop chronic sleep apnoea. Chronic sleep apnoea has been shown to cause and increase the risk of cardiac diseases . One of the reasons is due to the increased sympathetic tone that can cause high blood pressure and atrial fibrillation [1,2]. Chronic sleep apnoea is also associated with increased risk of asthma, metabolic disorders such type 2 diabetes and pregnancy complications [3,4]. As such, it is important to resolve this condition as soon as possible. The current gold standard for diagnosing sleep apnea is through a sleep study. During the study, parameters such as brain waves, eye, muscle and breathing patterns are recorded and monitored. 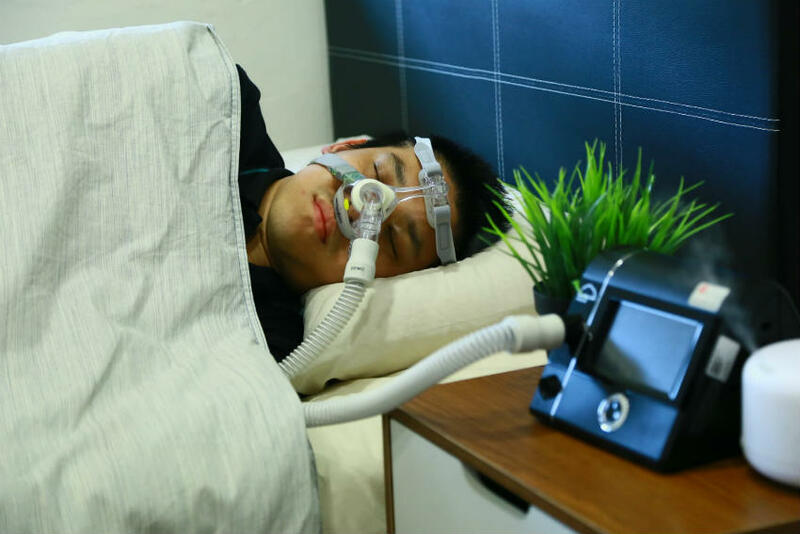 Because there are different kinds of sleep studies and different administering methods, some studies are conducted in the sleep clinic / hospital while some can be done at home. Your ENT doctor will decide which is more appropriate for you. If a sleep study is indicated, you may require a day’s stay at the hospital. During a sleep study, brain activity, eye movement, vitals and more, will be measured. A polysomnographic technologist (RPSGT) will be in touch with you and he/she would provide further details on the test. He/she will also be administering the study. What to prepare before sleep study in a sleep clinic? Have dinner and are ready for bed. Bring your medications if applicable. Bring comfortable clothes that you normally sleep in. What To Expect In A Sleep Clinic ? Your ENT doctor will begin with a detail interview on your symptoms, sleep pattern and sleep quality. He will perform a physical examination especially a nasoendoscopy to assess the upper airway anatomy. 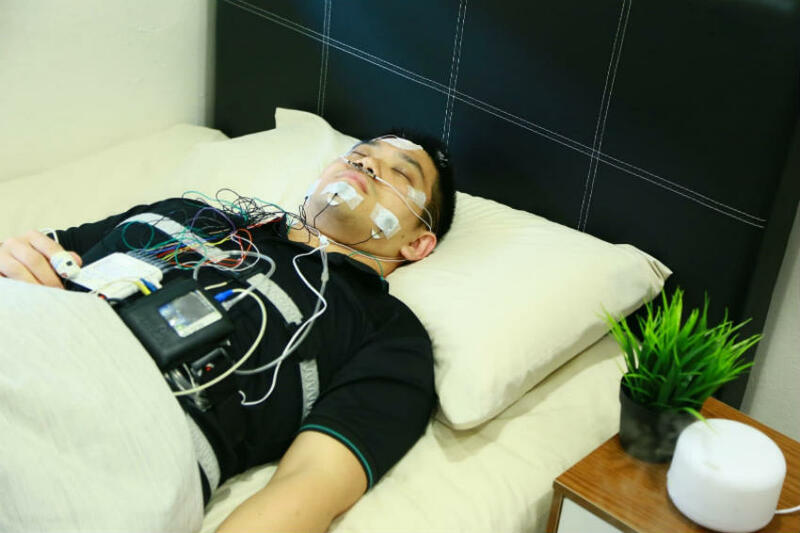 A sleep study will be arranged soon after in a medical sleep laboratory or at your home to determine the types and severity of sleep apnoea. Your ENT doctor will go through your sleep report, correlating it to your history and physical findings. He will tailor an individualised treatment plan to improve your sleep quality and get rid of your sleeping blues. Excess weight is an important factor in obstructive sleep apnoea. Hence losing weight is paramount to the successful treatment especially if you are overweight or obese. Additionally, losing weight can decrease your cardiovascular and diabetes risk]. Studies have shown an increased association of smoking and alcohol consumption with sleep apnoea. As such, cessation from them can contribute to the success in the management of the condition. 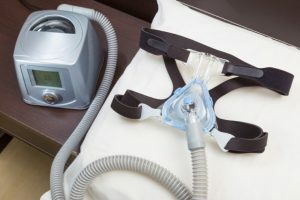 CPAP is a positive airway pressure ventilator, which applies positive air pressure on a continuous basis to keep the airway passage open during sleep.This helps prevent the effects of obstructive sleep apnoea from occurring. Oral appliances such as the Mandibular Advancement Device can help with the symptoms of OSA as it can push the lower jaws forward and hereby ensuring a patent airway which restores airflow. If surgery is indicated, it is performed to address the various areas of obstruction. The results may vary between individuals. This is usually offered when non-surgical means are unsuccessful. For children with OSA, the ENT specialist would usually perform an adenoidectomy and/or a tonsillectomy (removal of adenoids and tonsils respectively). Your doctor may also perform radiofrequency (ablation) on the inferior turbinates. Nose : septoplasty, turbinoplasty, radiofrequency. This is to relief nasal congestion, improve nasal breathing, reduce mouth breathing. Overall, it can reduce the prolapse of tongue base and obstructed airway. Palate: palatal surgery such as the uvulopalatopharyngoplasty (UPPP). This also reduces obstruction in the upper respiratory tract. Tongue: Coblation and volume reduction of the tongue. However this is not commonly performed. Why choose Ear Nose Throat, Head and Neck Surgery? Our experienced ENT Specialists are able to diagnose whether you have sleep apnea. We are also able to do a complete assessment of your upper airway anatomy. More importantly, we are the best specialty to recommend the most appropriate treatment option for OSA and any airway obstruction. Treatment options offered in our ENT clinic in Singapore range from non surgical approach to customised surgery specific for your needs. This would be accordingly to the severity of the condition, anatomy and patient’s preference. Why choose our ENT Specialists? Our ENT specialists has a total of more than 60 years of experiences treating patients with sleep apnoea. We have successfully treated hundreds of patients with our individualised and personalised approach. We have guide our patients each step of their journey and restore their sleep quality. Many were able to have a good sleep again. Leung, R., & Bradley, T. (2001). Sleep apnea and cardiovascular disease. American Journal of Respiratory and Critical Care Medicine, 164(12), 2147-2165. Narkiewicz, K. K., & Somers, V. (1997). The sympathetic nervous system and obstructive sleep apnea: Implications for hypertension. Journal of Hypertension, 15(12), 1613-1619. Doumit, Jimmy, & Prasad, Bharati. (2016). Sleep apnea in type 2 diabetes. Diabetes Spectrum, 29(1), 14-19. Liu, L., Su, G., Wang, S., & Zhu, B. (2018). The prevalence of obstructive sleep apnea and its association with pregnancy-related health outcomes: A systematic review and meta-analysis. Sleep and Breathing,1-14.